First is registering a winbridge account. 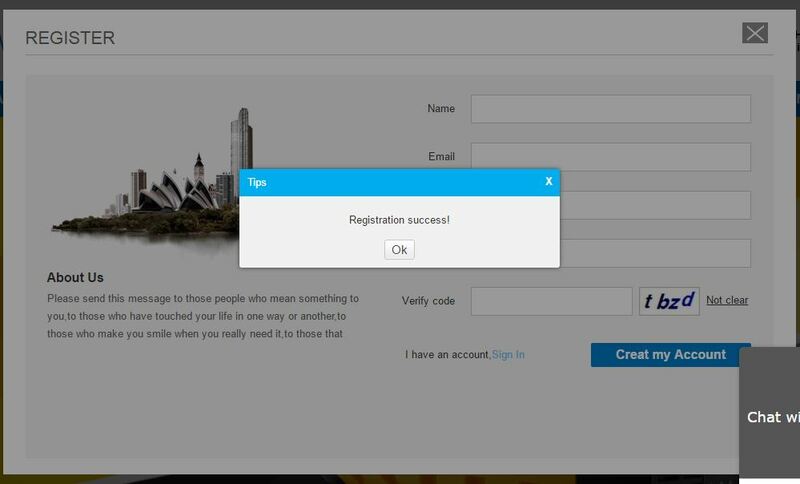 You need to register yourself before making any purchases from the website. And it is pretty simple, can be done in less than a minute. 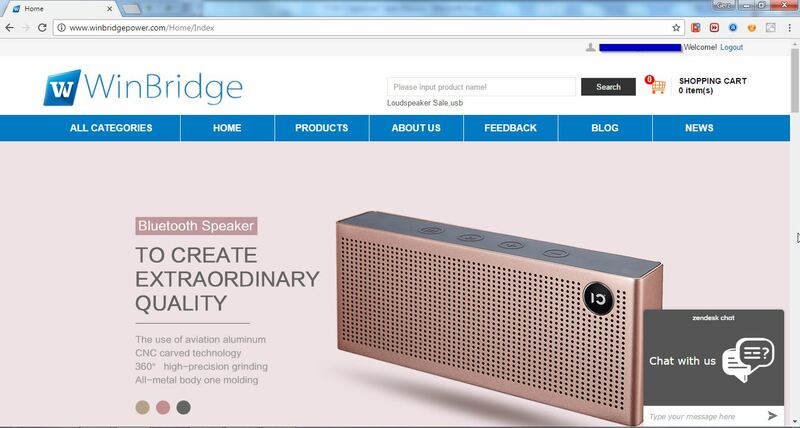 We will then start off with how to make a purchase from the WinBridge website. 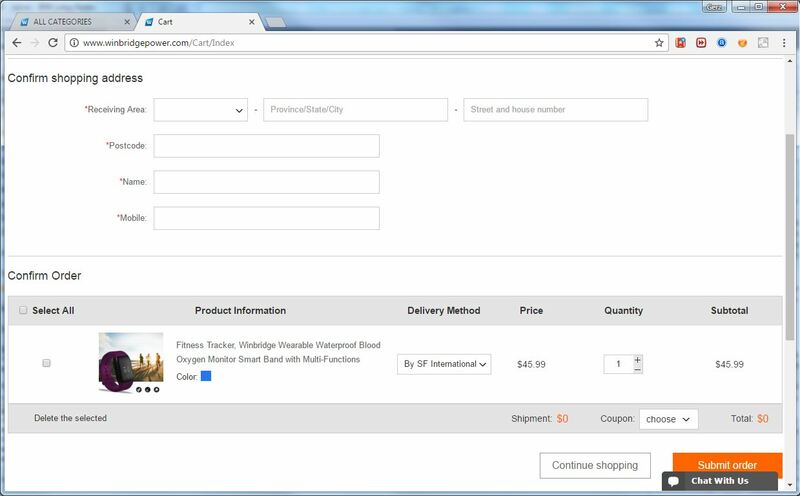 Select the item you want to purchase and we shall then add the item into the cart. It is really easy. Then you will need to confirm the shipping address. Well, for the item I choose, Shipment is by SF international and only cost USD $1. Next step is to submit our order. Just click on the ‘submit order’ button and it will go directly to the payment. Payment will be via paypal. 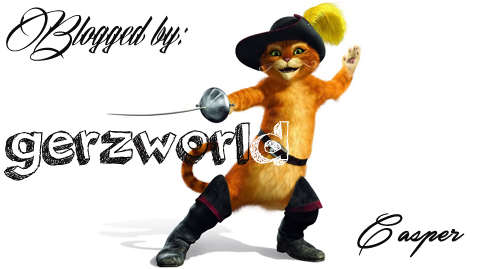 But before making payment, you may want to email the customer service for additional 20% discount code by quoting “Ger’z World”! 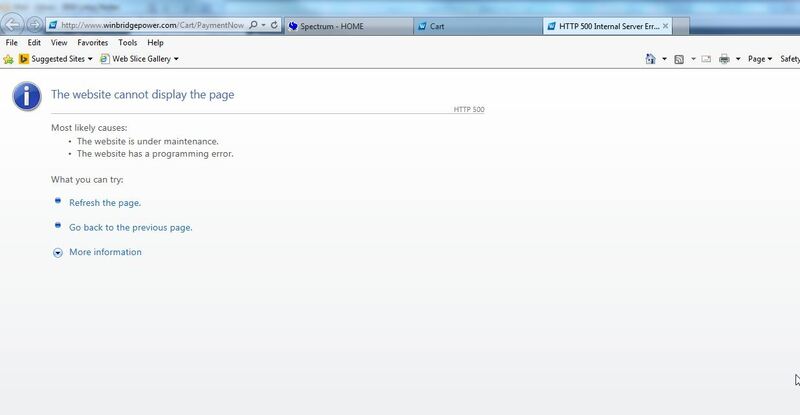 After clicking on the ‘pay now’ button, the screen will bring you to the Login page of Paypal. 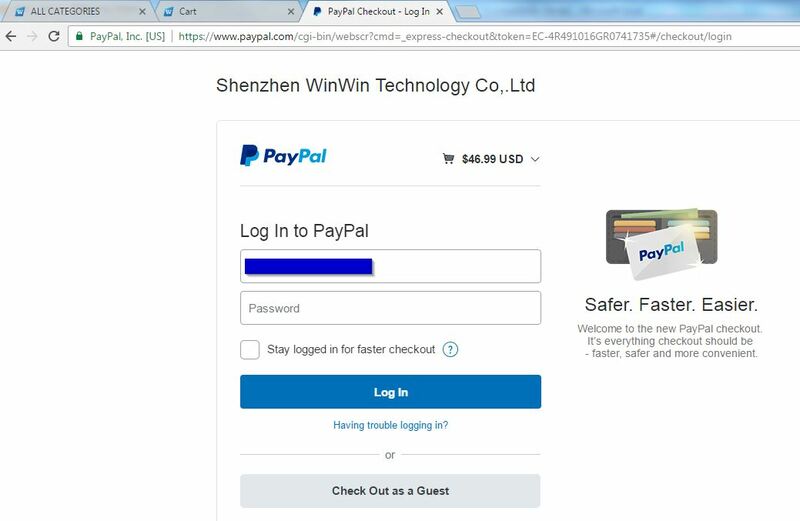 You will need to log into your Paypal account to proceed with your orders. Payment successful! Yes, it is just so simple! It took about 2 weeks for item to arrive. I think the time is reasonable. 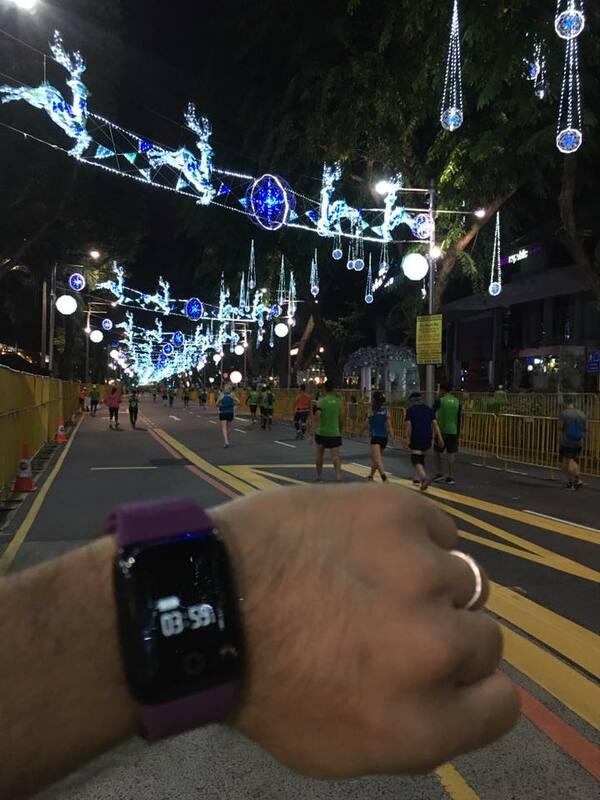 Arriving just a few weeks before my Standard Chartered Marathon Singapore 2016. 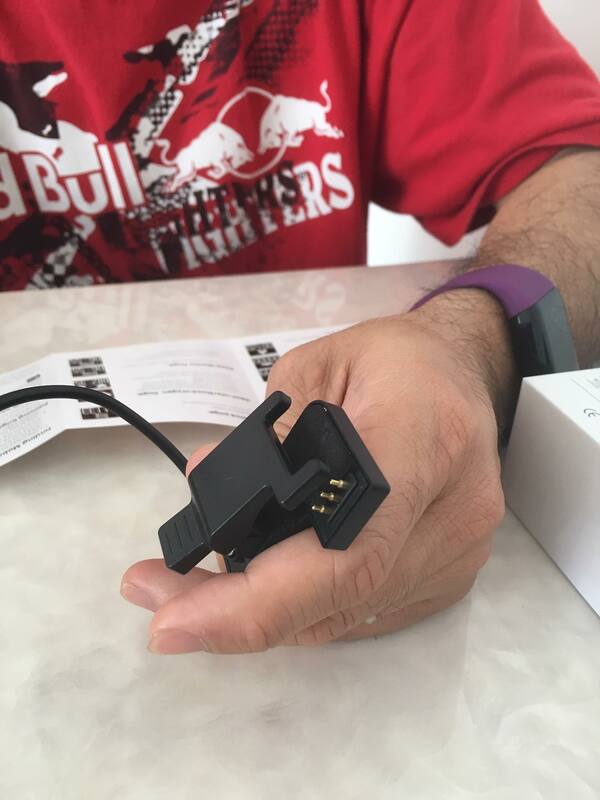 The box came with an instruction manual, a charging cable and with the Sports band (watch). The instruction manual was quite detailed and we just need to download the app from App store (for apple IOS user )/ Play store (for android user). It’s simple and straight-forward to use. Once the watch was connected to the smartphone via bluetooth using the app, the time will be auto adjusted accordingly. See, there is a green light emitting from the base of the watch to tell me to measure my heart rate. Next is the interesting charging cable. 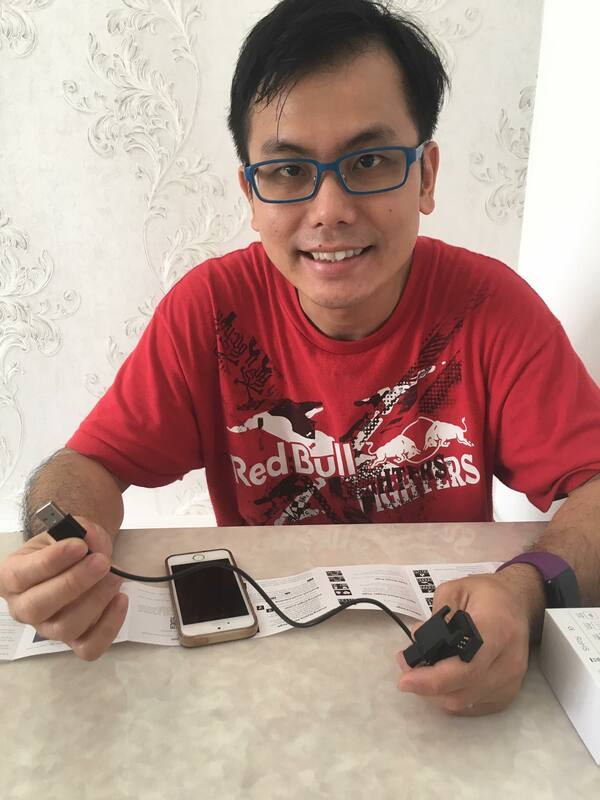 Very special type of “Giap” (clip onto the watch) way when charging. You can see the matching 3 pinhole under the watch, which clip to your watch. Charging was fast too. What I like about this ‘watch’ is the pedometer’ function. The pedometer to measure how much steps you have walked and will estimate the distance you had travelled for the day. This is so in-line with the “StepUp! Celebration Week” program of our company! Our company has just launched this “Step by Step Challenge” to spur employees to reach the recommended 8,500 steps a day. Staff were grouped into teams to encourage one another to take more steps and win the team challenge. With is smart band (watch), I have no issue to record the number of steps took per day. It is just so simple, wearing this ‘watch’ through-out like a bracelet and no need to put on any other devices to record the steps. Well, wellness starts with little steps, let’s keep fit together. 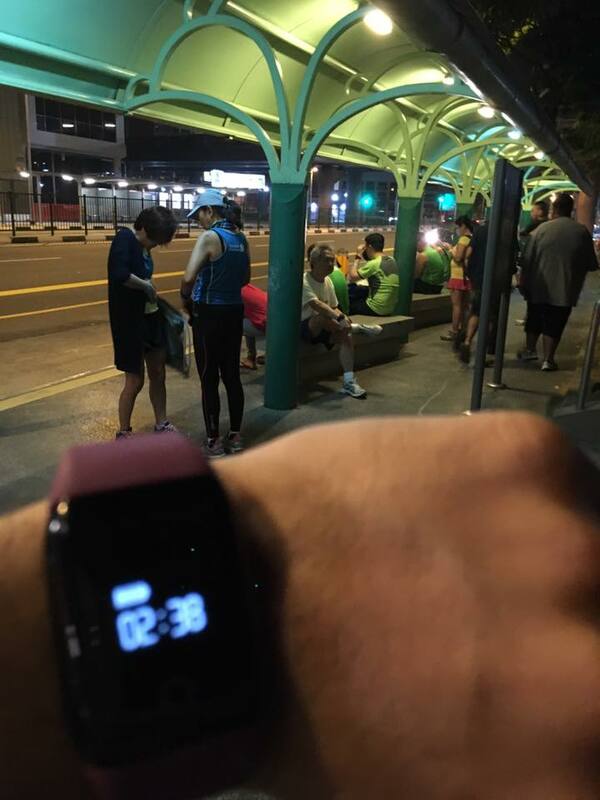 Here is another great function I like about this smart band (watch). It is the Heart monitoring and Blood Oxygen Monitoring features. 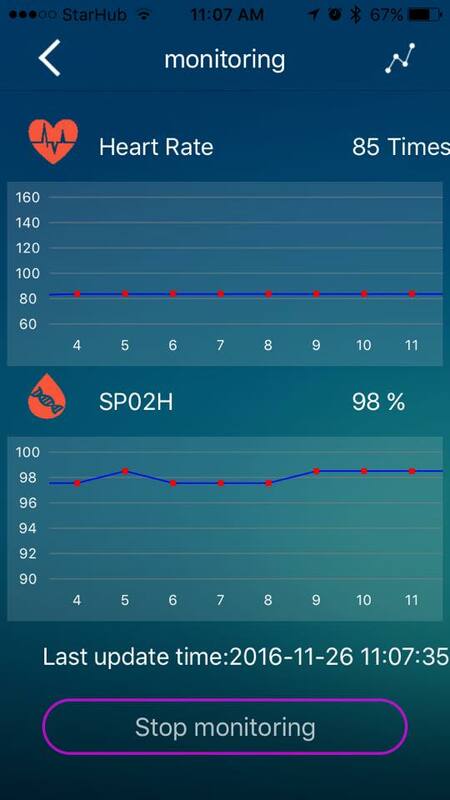 When the function is switched on, you can use your smartphone app to see a graph of your current heart rate and the dynamic blood oxygen monitoring (SP02H). It is pretty cool but of cause it will use more battery power and thus, need to charge more frequent. 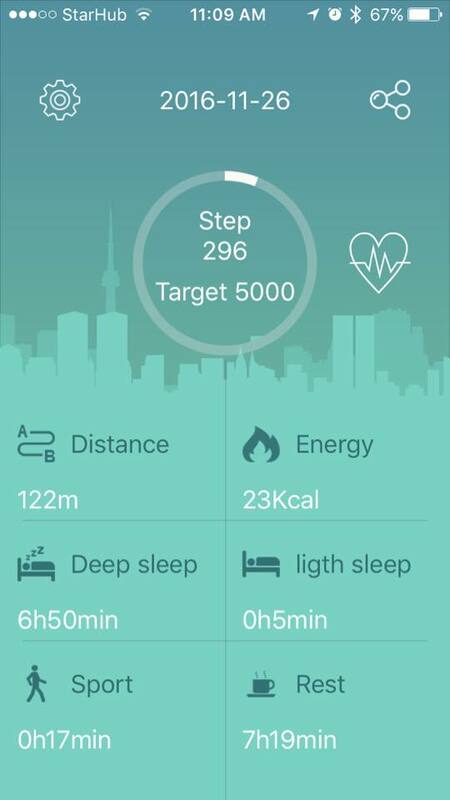 You can also use this app to set your target daily like how many steps you wanna make. 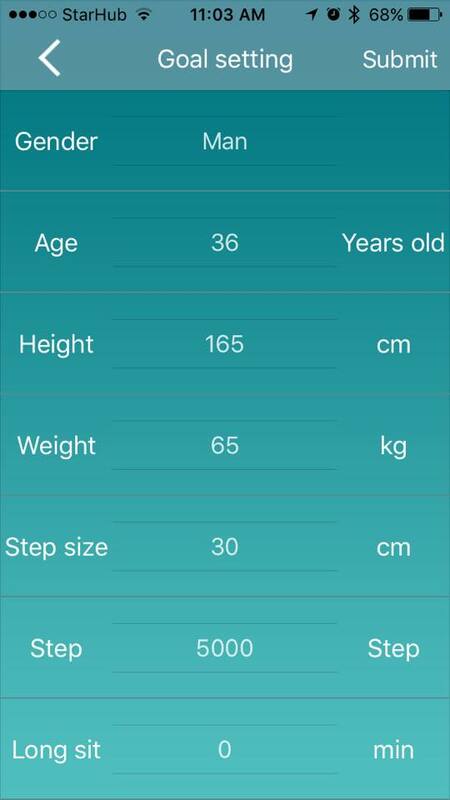 And you can tell them your step size so you can have a more accurate measurement of the distance you done for the day. The additional feature is the “Alarm”. 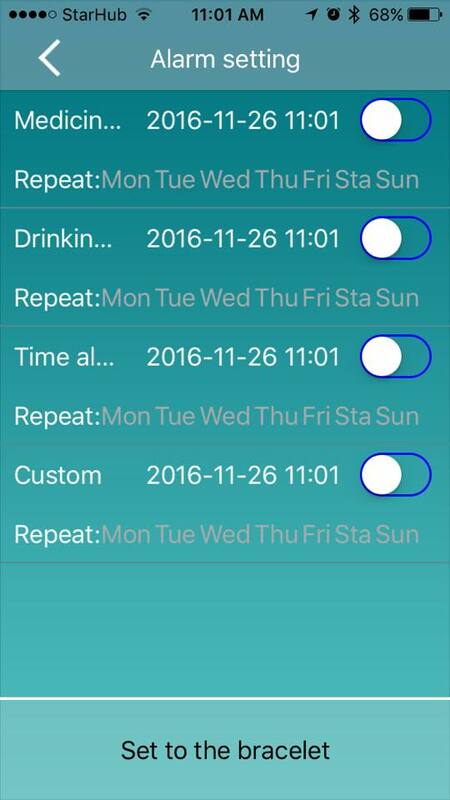 You can set alarm reminder to tell you to eat Medicine or drink up more water. Great feature for busy people like us or rather forgetful people like us! 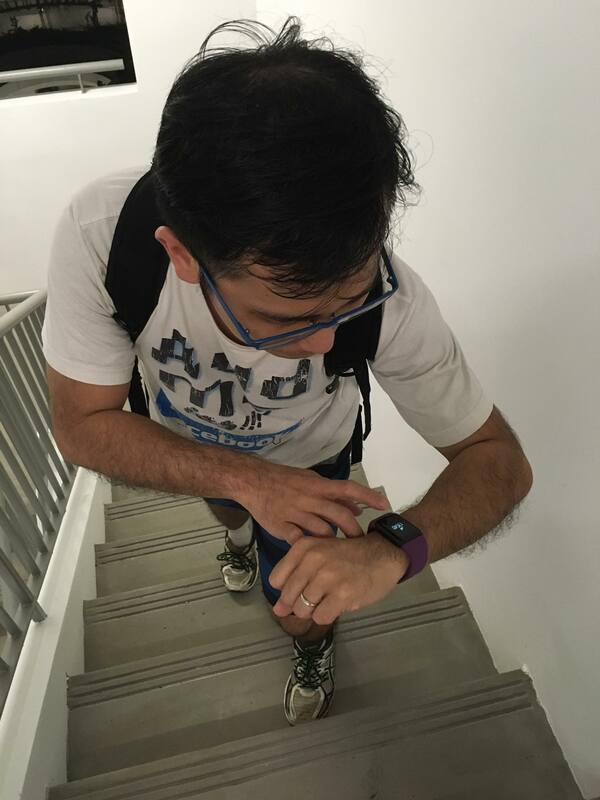 See, I started off wearing this smart band to practice climbing the stairs to practice for the upcoming marathon. And yes, it’s pretty cool, interesting, and definitely easy to use. I rode a bike to work everyday. And in Singapore, weather is like, rain and shine a few time per day. 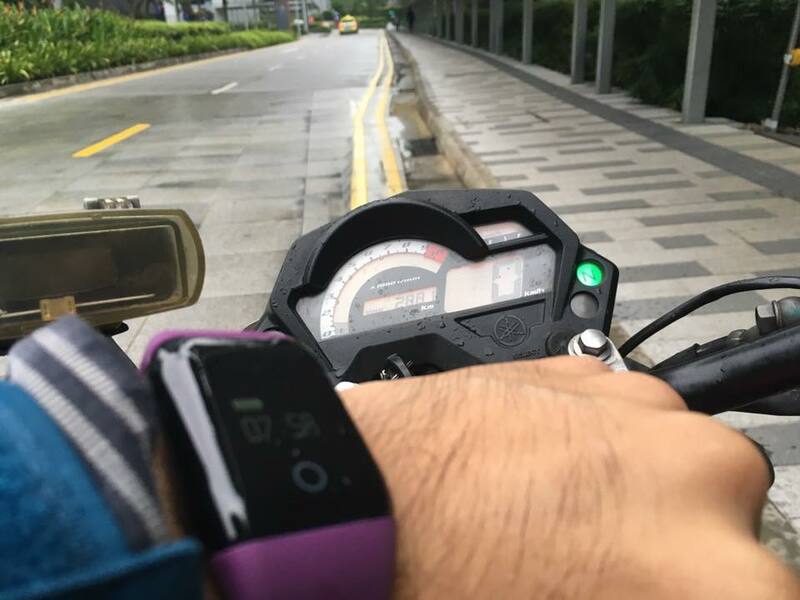 But from now onward I need not worry about wearing a watch when riding during raining season, be it against the strong rain or wind, it will not spoils as the watch is waterproof. Finally the day has come and I am wearing this for the first time to my Standard Chartered marathon event in wee hours in the morning. Reached the start point at orchard road. 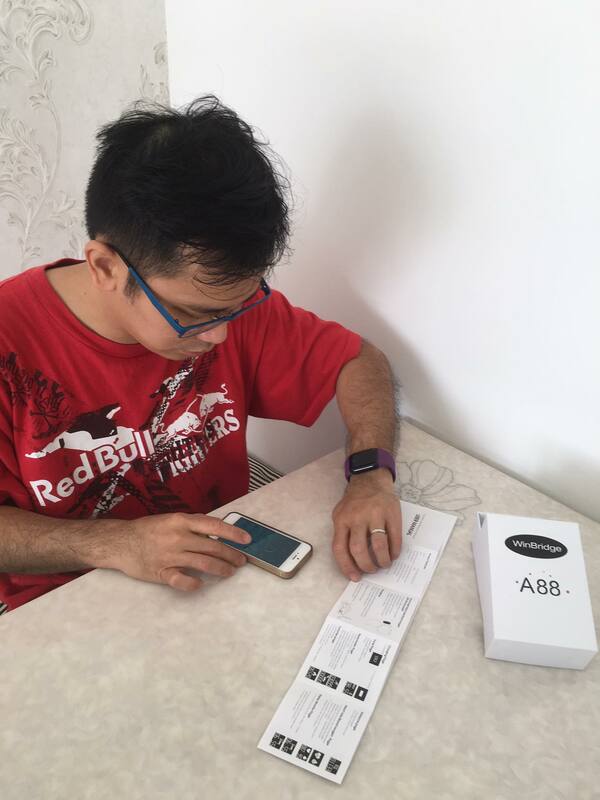 Finally I got a great smart bracelet (watch) for all my running activities. Hope this watch will accompany me for more sporty events and hope it will last long! If you are interested to make a purchase, please email info@winbridgepower.com quote “Ger’z World” for a 20% discount code exclusive for our readers only. 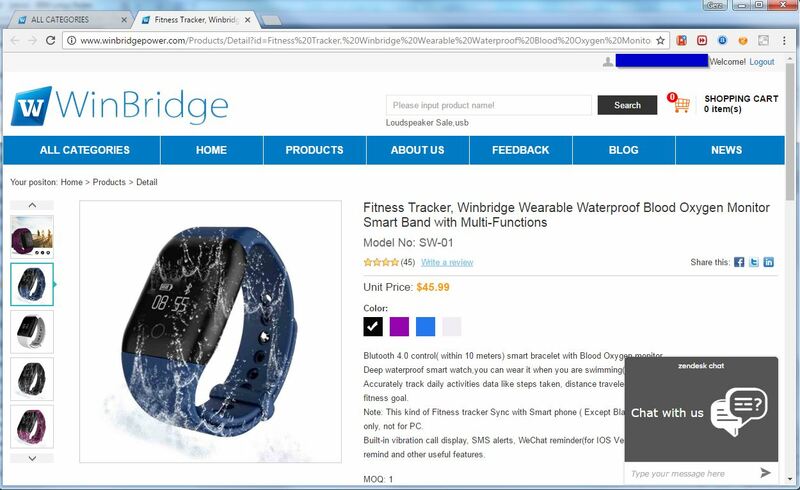 Disclaimer: I do not earn anything if you purchase from WinBridge I am just helping you to get discounts. I do not receive any monetary compensation for this blogpost but I do get to use and keep the product. Do note: This post was sponsored by WinBridge. My running journey with Asics Nimbus series. My favourite shoes all these while!